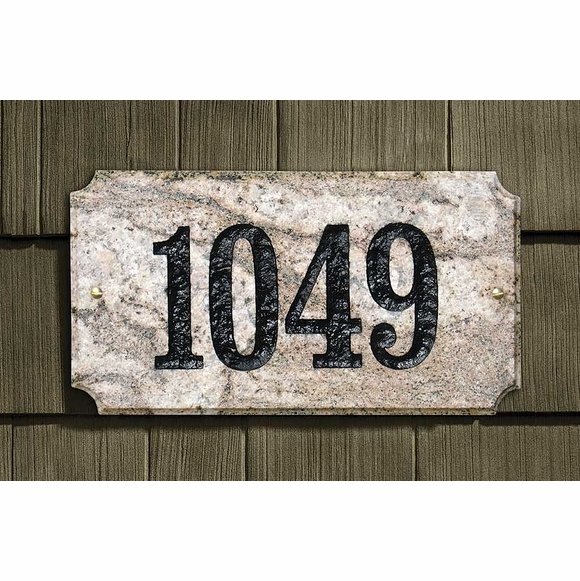 Granite Executive Address Plaque - - Executive granite address sign adds curbside appeal to to your home. Features up to five bold numbers deeply engraved in solid granite. Select from a variety of granite colors and number colors to match your home decor. Dimensions (approximate): 13" x 7". I am thrilled with the product. We had a difficult installation problem and this product took care of it. The sign is handsome and matches others in our neighborhood. Couldn't not be more pleased.